Ruby and Sapphire ft. Cookie Cat. 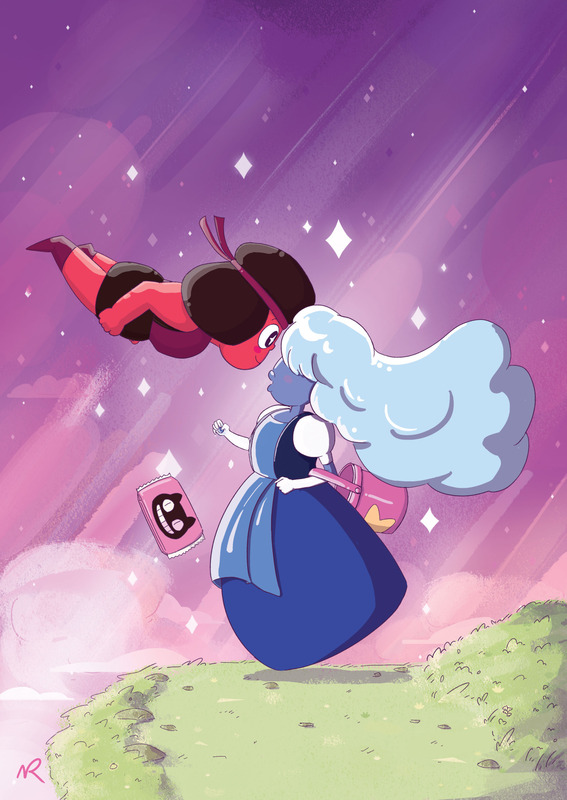 A Ponyo inspired Fan art of Ruby and Sapphire (and Cookie Cat!). HD Wallpaper and background images in the Steven Universe club tagged: photo ruby sapphire cookie cat steven universe ponyo.